Please request a tax deductible receipt. early and get the energy enhancing and detecting exercises, too. Payments are fully refundable, except for deposits, until 9-18-12. A more detailed curriculum will be provided shortly. 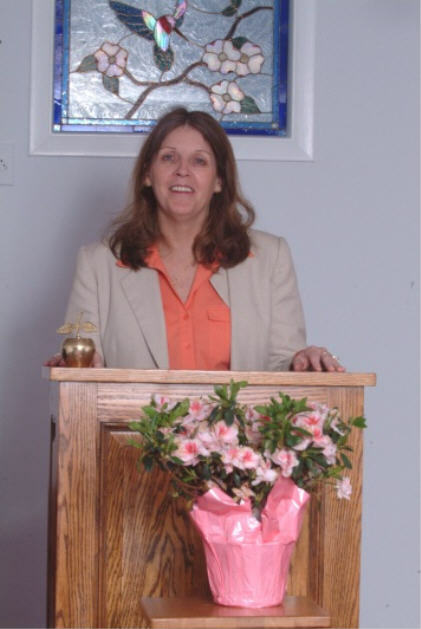 In the interim, please refer to the healing sessions section for an explanation of the eHealing techniques. DUE TO THE HANDS ON NATURE OF THE SEMINAR ATTENDANCE IS LIMITED, SO BE SURE MAKE YOUR RESERVATION SOON TO SECURE YOUR PLACE. 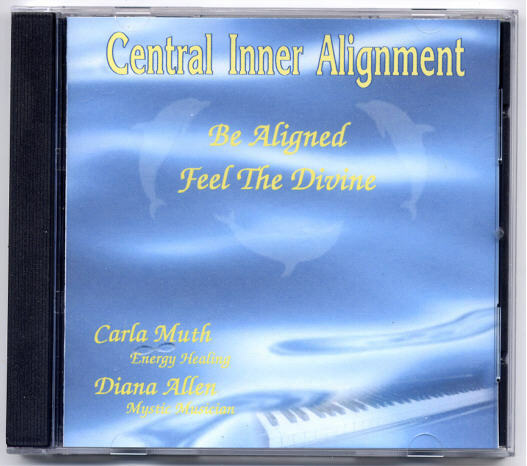 All of the participants will receive a 20% discount on Carla’s CD: Central Inner Alignment: Be Aligned, Feel the Divine.($15). 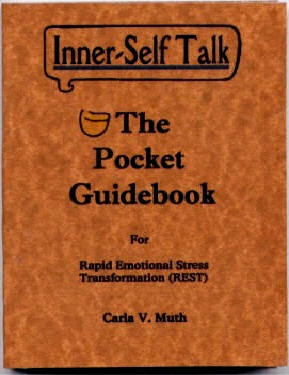 Only those who attend the Bio-Emotional Balancing seminar day will have the opportunity to purchase her book ($10), Inner-Self Talk (The Pocket Guidebook for Rapid Emotional Stress Transformation), due to a very limited supply. At the end of each seminar day, attendees will receive a course certificate of completion. We hope to give a follow up seminar to offer further instruction and expertise as well as a certification as a Body Alignment Specialist (BAS) and/or a Vibrational Touch Specialist (VTS) to those who demonstrate sufficient proficiency in these healing modalities. 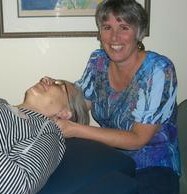 However, certification is unnecessary to apply these techniques in assisting others in their healing process. Tell a friend in need of healing! as much of this information won't be covered in the class. 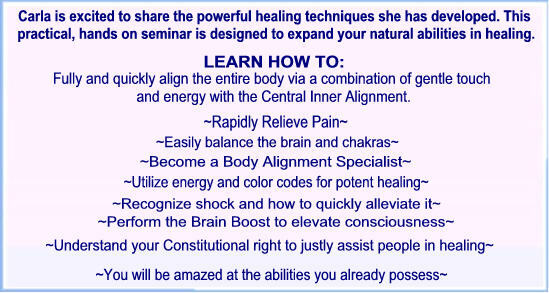 You will be learning original healing techniques that were created by Carla. They are all energy based and also practical and readily reproducible. They are of particular interest to LPTs, LMTs, and other body workers, who wish to work “easier and not harder” with gentle, effective, and rapid healing results. 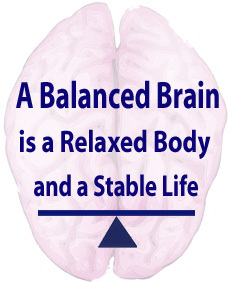 The Bio-Emotional Balancing day will be most appreciated by psychotherapists and counselors who wish to further develop their empathic skills and to practice processing and understanding emotions. Contact Joellen for further information and for an appt. personal application of the techniques by Carla. Bringing your own massage table to share would be greatly appreciated.